Three tuned trumpets, 16″, 14″, 11″. Chrome plated high impact ABS. There’s no mistaking that genuine train horn sound. When these horns sound you’ll swear that you’re standing on the tracks. 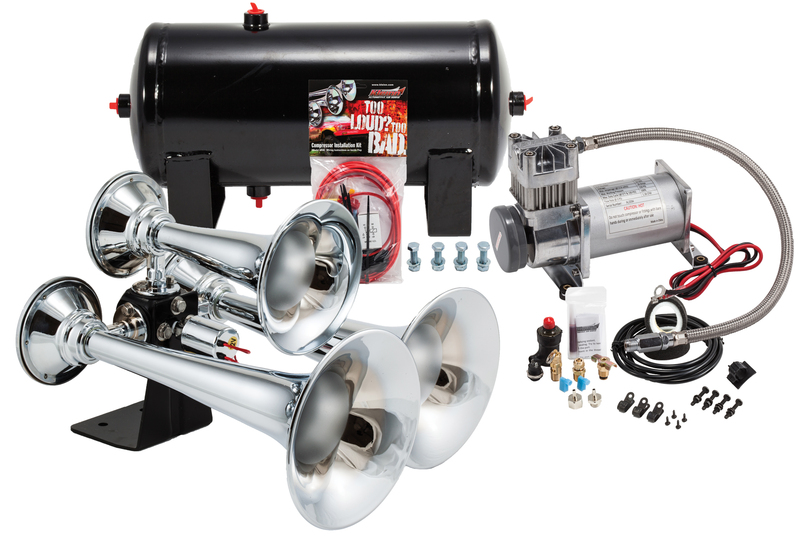 The kit includes a 150 PSI compressor and 1.5 gallon air tank.